When we think of Christmas, we associate this festive occasion with family, friends, Christmas Square, Santa Shows, Christmas Day lunch, year-end parties, meaningful gifts and Christmas trees. I sometimes wonder what happens to the land where the Xmas trees used to grow and the presents after the festive season. With an estimated AUD1 billion spent on unwanted gifts in Australia and 53 percent of Australians throwing away at least one Xmas gift, that's a lot of junk going into landfills. Perhaps it's equally important to think about the environment this Christmas. In my conversations with Emeline Suteau, from the Victorian Division of United Nations Association of Australia (UNAA VIC), we believe we found a way to go green this Christmas with Greenfleet. This Melbourne-based environmental charity working to reduce pollution and climate change implements biodiversity forest projects that provide multiple benefits for the environment. They aid the reduction of greenhouse gases, provide valuable habitat for native fauna, help regenerate the Australian landscape and offer organisations and individuals an affordable way to offset their carbon footprint. 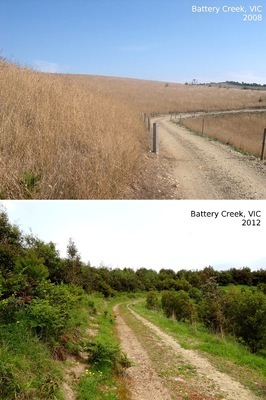 Since 1997, Greenfleet has planted over 7.5 million native trees to restore biodiverse forests around Australia, like in Kinglake National Park in Victoria or Kosciuszko National Park in New South Wales. Greenfleet's species-rich forests also help to reduce salinity and soil erosion. This Xmas, Greenfleet is encouraging Melburnians to choose a gift that lasts long beyond the festive season. Sara Gipton, CEO of Greenfleet shared with me that everyone can make a positive difference on the environment and help create a low carbon future for Australia. Greenfleet can help Aussies make green choices by offering gift ideas that won't cost the environment and instead help preserve it. 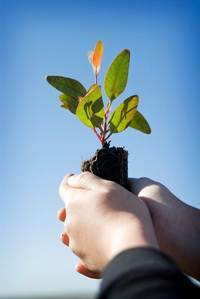 Give a Greenfleet Gift Certificate - For every gift certificate purchased, Greenfleet will plant enough Australian native trees as part of a permanent forest to help offset the greenhouse gas emissions that the recipient's medium car produces in one year. So you and your recipient are helping the environment together. 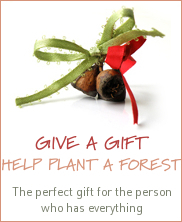 Plant a Tree Universal Gift Card - This pre-paid VISA gift card contributes to protecting the environment by planting a native tree, in addition to allowing the recipient to buy whatever, whenever he/she wants in any store where VISA cards are accepted. Offset your Emissions - If you're flying or driving to another destination for the festive season, you can contact Greenfleet online at www.greenfleet.com.au or Freecall 1800 032 999 to offset your emissions. It costs as little as AUD11.19 to offset a flight from Sydney to Brisbane. So grab your family and friends and make a difference this year. Start a new Xmas tradition by planting native trees with Greenfleet. You may actually be saving Xmas for future generations to enjoy. Where: Revegetation projects in ACT, NSW, QLD, SA, VIC and WA.